The British Grooms Association is the national representative body for all grooms working in the UK or British grooms abroad. We exist to support members throughout their career as a groom, providing support, advice and education to all working in the industry and to speak up on the issues that really matter. Our members are at the heart of everything we do and with the power of a growing membership behind us we’re able to provide an ever expanding range of tangible benefits and services that can help support grooms in their career, give peace of mind to just get on with the job as well as save money. If you’re not a member already don’t miss out! Have a look at the wide range of services and benefits we can offer you. The BGA was formed in 2007 by a group of ex grooms who recognised the need for a professional association to offer support, advice and education to all of those that work in our industry. In 2010 the BGA became a member body of the British Equestrian Federation giving grooms a voice at the highest level of equine sport in the UK. Employers are also important to the BGA, and we are proud to offer dedicated information and support which hopefully long-term benefits their staff and business. The BGA welcomes membership from all grooms who work in the UK, whatever nationality, and British grooms that are working abroad. There is no age limit to join the BGA; all ages are welcome and our current membership ranges from 15 – 75 years old! BGA members are from all sectors of the equestrian world including competition yards, riding schools, livery and hunt yards, polo, welfare centres and vet practices. It makes no difference if you are an employed groom, freelancer, working pupil or apprentice... the BGA welcomes all of those that work hands on with horses to become members of their professional association. HOW DOES THE BGA EXIST? The BGA is a non profit making Social Enterprise and its legal structure is as a Company Limited by Guarantee. 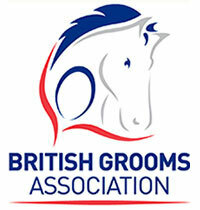 The British Grooms Association (BGA) is a Professional Membership Association. The BGA was started due to a £5000 grant from the Social Entrepreneurs Charity - UnLtd. This was a fantastic opportunity to get the BGA up and running. A further £20,000 grant was won which enabled the association to grow and secure its place in the equestrian sector.